Inspiration: The Family owns the most beautiful resort in Wimberly Texas. The inspiration was drawn from the property and the daily life there on the resort. 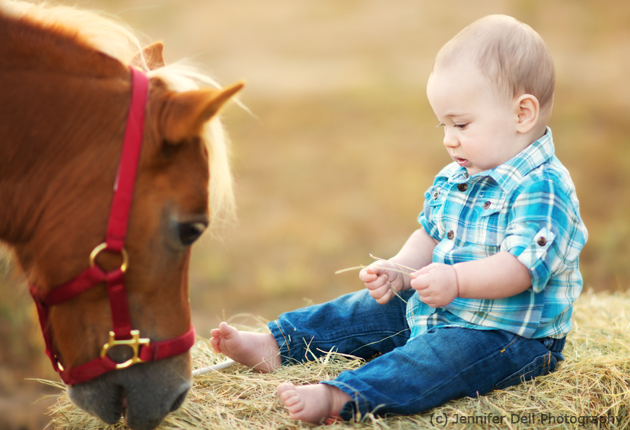 Beautiful, the resident pony, was a big part of that as well. 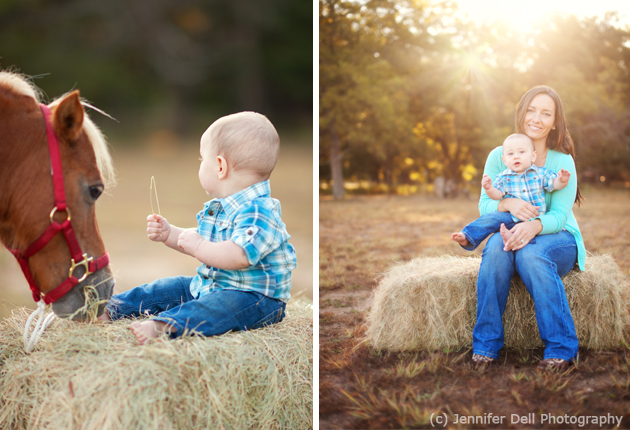 I really wanted to capture a true hill country vibe from the session. 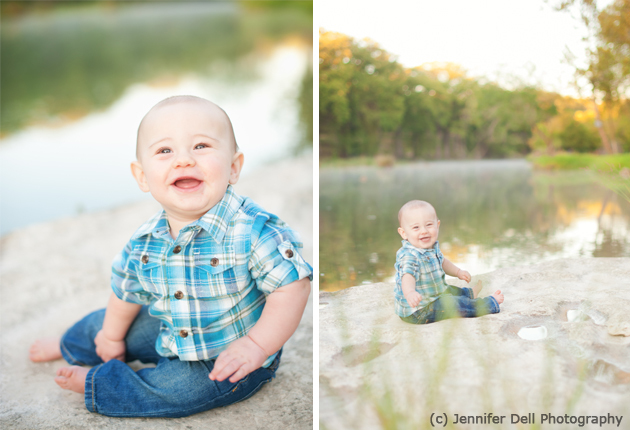 Favorite Element: My favorite element from the session was the end when we gave the sweet little guy a bath outdoors to get him all cleaned up after his morning of fun. 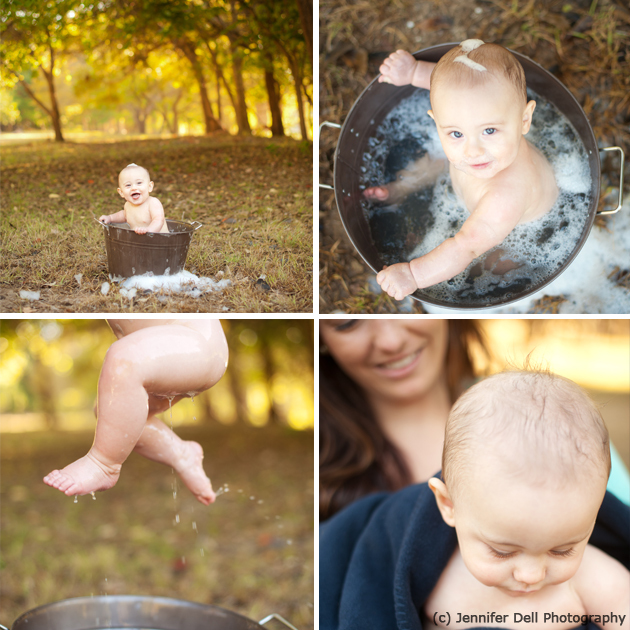 The washtub was a lot of fun, for both him and me as the photographer! 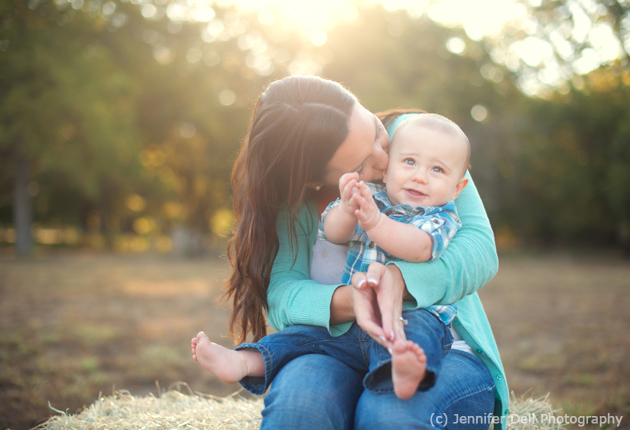 Biggest Challenge: The biggest challenge was probably not knowing the property myself since I’m a Houston based photographer and the session was in Wimberly (about three hours away), just a little ways from Austin. 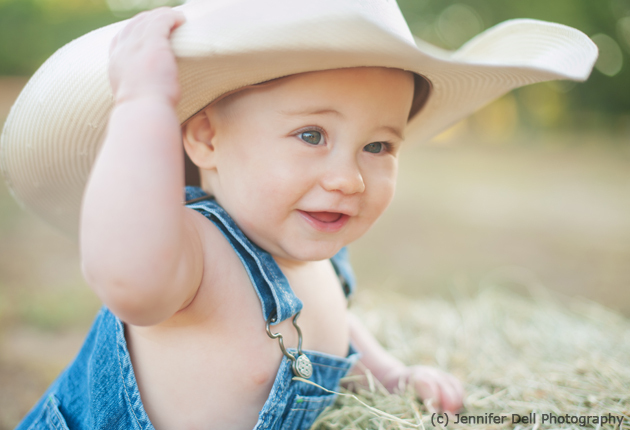 I had to go on what the Mom told me about the location, and luckily, she was a tremendous help during the planning stages! 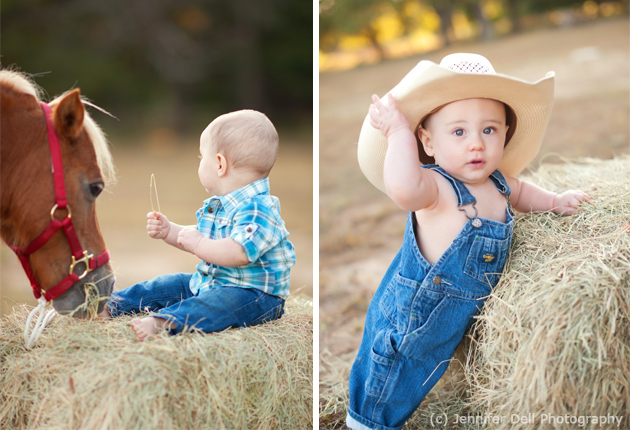 What the Client Said: I just saw the photos and they are gorgeous! Jennifer they are beyond what I expected! I absolutely love them. I wonder how many pictures I can hang up in the house before my husband thinks I’m crazy. 🙂 I can’t thank you enough for not only taking the pictures but for coming to us as well. Photographers’ Final Words: This was easily one of my most favorite shoots for a lot of reasons. 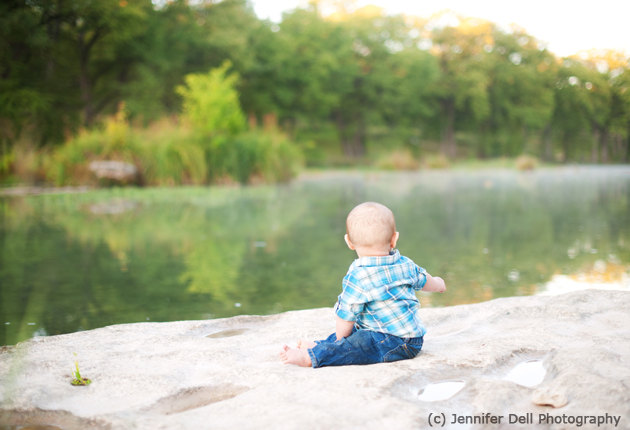 The gorgeous scenery, the super happy baby, but mostly the cooperation from the family when planning out the session. I can’t stress enough how important it is, when you are planning out a stylized session, to have the help and input from the family. It truly makes the session unique and memorable for the family!